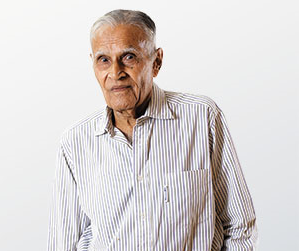 This post is a tribute to Chandrakant Sampat who passed away last week. Many of us might be hearing his name for the first time. But Chandrakant Sampat, called as India's warren Buffet, was one of the oldest and true value investors in Indian stock market arena. He was known for his discipline to investing, honesty and thoughtfulness. He was a source of inspiration to several of today’s well known investment gurus. Chandrakant Sampat was influenced by economist Peter Drucker who has been described as "the founder of modern management". Sampat entered the Indian markets in 1950s, at a time when all one needed was “a cheque book and a pen.” Sampat began betting on companies such as Hindustan Unilever (then Hindustan Lever) and Indian Shaving Products (now Gillette India) in the 1970s and 80s, before they became investor darlings. 3. Find out companies which are paying good dividend consistently. 4. keep your expenses down, invest in just six to eight companies and have faith in the power of compounding. Sampat feared the impact of economic expansion on the earth’s depleting natural resources. He was concerned about high debt on the books of many companies and the generous compensation packages of the top management and the lavish lifestyles of the promoters. He saw little relation between the performance of companies and the hefty salaries of the top executives. He was especially critical of the concept of employee stock options, which he realised as the "biggest source of corruption." 2. "Printed money is not really the source of growth; it is the earth with its resources that makes economic growth possible. And those limited resources are fast being depleted. It is time to be responsible". 3. "There was a time you could study the financials of a company and bet on it doing well, irrespective of whatever happened to the economy. But that is no longer the case!!! 4. "The misallocation of capital has created a new minority class of elites, who have been the biggest beneficiaries of capitalism"
5. "Rising population in itself is not the main problem; it is the elevated expectations of the new population that is worrying. The consumption is nowhere near what it was in the previous century. Today the expectation of an average US citizen is one home and two cars. And that trend has penetrated other parts of the world as well, including India. Simply put, to fulfill the expectations of this 7.5 billion people, we would need the resources equal to five earths"